Is the Design of Luxury Cars Really Much Better Than That of Other Cars? Every car buyer asks, “When I spend more money for a car, what am I getting in return?” There is no easy answer. It could be metallic paint, or special wheels, or even something as minor as lighted door sills. However, aside from such details, oftentimes what people are really getting at is, “If I buy a more luxurious model or brand, am I getting a better designed and assembled car?” When you come to Dodge Mission TX, you can see for yourself that the Dodge brothers long ago answered that question with a’ “Not necessarily,” and that the company which bears their name rides on in a range of world class cars you actually want to drive. From the very beginning of the brand, Dodge sought to make well-built and innovative vehicles to fit everyone’s budget. When the Model T was still made with a wooden frame and six volt electrical system, the first Dodge automobile, The Model 30, used an all steel frame and modern 12 volt electrical circuitry. That spirit of innovation has carried forward through Dodge’s merger with Chrysler. 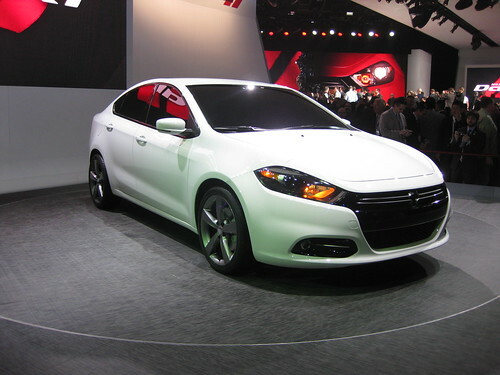 From the commercial perfection and then modernization of the 8-cylinder Hemi engine, to the introduction of the world’s most copied minivan in 1984, to the highly efficient, yet more powerful, 4-cylinder engines going into the 2013 Dodge Dart, you can rest assured that when you buy a Dodge, you can spend less and get more designquality for your money. Here is a brief example of the value you can get as a Dodge buyer. The popular Dodge Charger is based on the same chassis as is the more luxurious Chrysler 300. 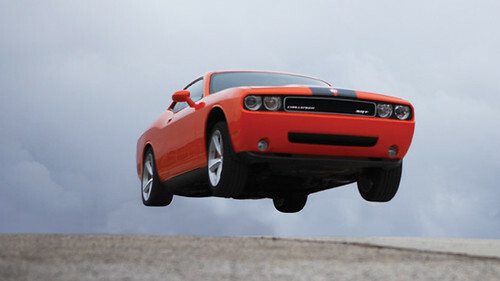 The also popular Dodge Challenger rides on a short version of the chassis. In fact, all of these cars are assembled at the very same automotive plant. Now many people know that many American cars share the same underpinnings as their domestic corporate cousins. Here’s the twist: The same performance platform you can get in a Dodge Charger or Challenger and the Chrysler 300 is also going into the next generation of Maserati performance sedans in Italy. When you buy a Dodge Charger you are buying a car with a chassis capable of competing in the top class of European performance sports sedans. For too long, the “global car” meant using Japanese or European engineering reformulated to American tastes. When our line up can be the basis of Maserati, or the platform of a “German” minivan, you know you have the essence of a world class vehicle when you choose to drive a Dodge. Come by Dodge Mission TX and see for yourself the engineering quality designed into each and every model we sell.